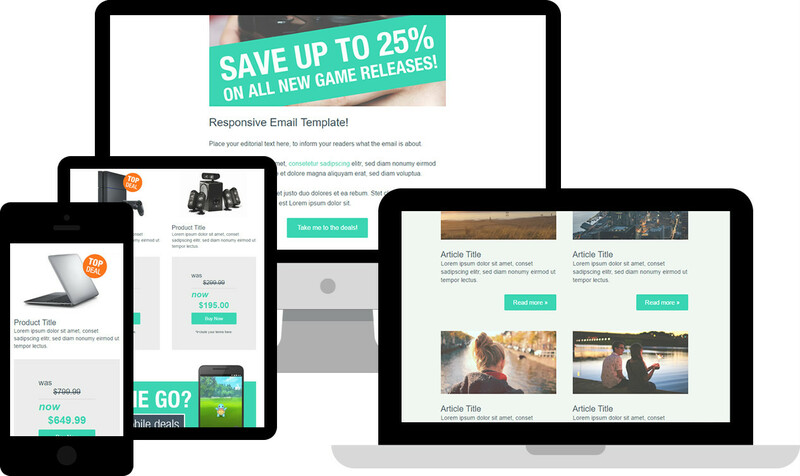 Tested in over 50 email clients, webmail services and mobile devices, fully responsive for both desktop and mobile audiences, ready to be adapted as needed. This download includes 2 template variations. One general styled theme, great for blogs, news articles, events, and general information. With the other theme designed for online shops, B2C, and B2B newsletters. Download The download is free, no personal data is collected. The generated key is for one download only. Ready to send? Don't forget to check and validate your HTML email or newsletter first!